Because of the ice/sleet/snow storm here in South Carolina, we decided to cook a small Sirloin Tip Roast I purchased Sunday while visiting West Ridge Farms-Premium Beef. 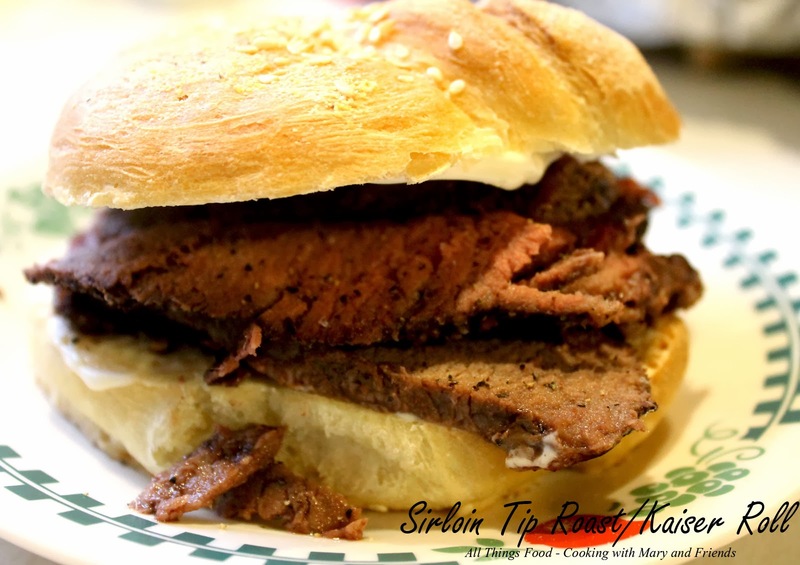 Our thinking was to roast it for lunch to serve on some homemade Kaiser Rolls I had baked, then if we lost power, at least the beef would be cooked! Yes, ice storms can do so much damage, and power outages are the main problem. 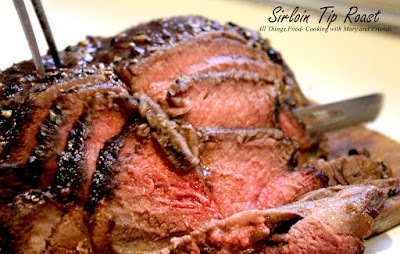 A Sirloin Tip Roast is a less tender cut of beef, coming from an area near the sirloin (read more here), but makes a delicious roast if cooked properly. 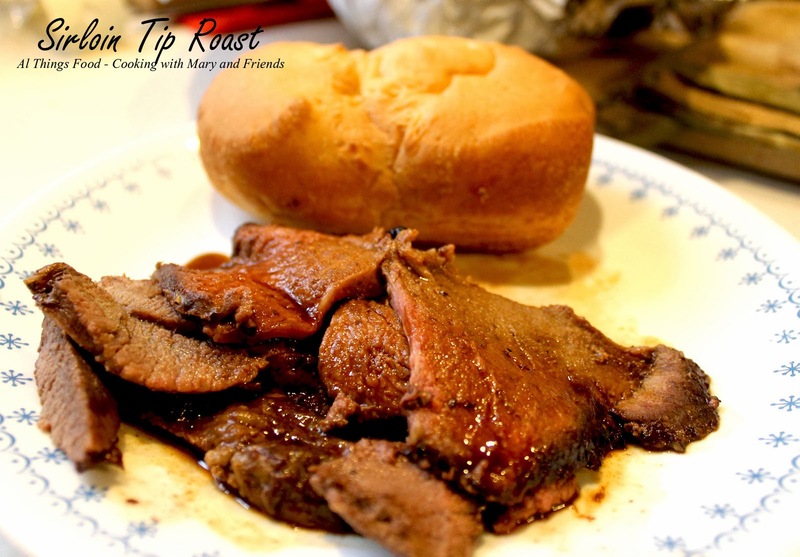 It's a lean cut of beef making it suitable for roasts, beef kabobs, sliced thin for roast beef sandwiches and more. Oh my goodness ... this beef is AH MAZ ING!!! This is the BEST beef I have ever tasted, seriously. It was juicy, tender, succulent, and everything you'd want in a good beef roast. Raised on pasture, antibiotic and hormone-free, it beats any other beef I've ever had for flavor and taste. And there was little to no shrinkage when the beef roasted. Wow! I'm so glad I have more in the freezer to cook another day. Check out my day at the farm here. Preheat oven too 500. Spray a small roasting pan with cooking spray. Oil beef all over with oil of your choice. Using a pepper grinder, grind pepper corns all over beef and sprinkle with course-ground salt. 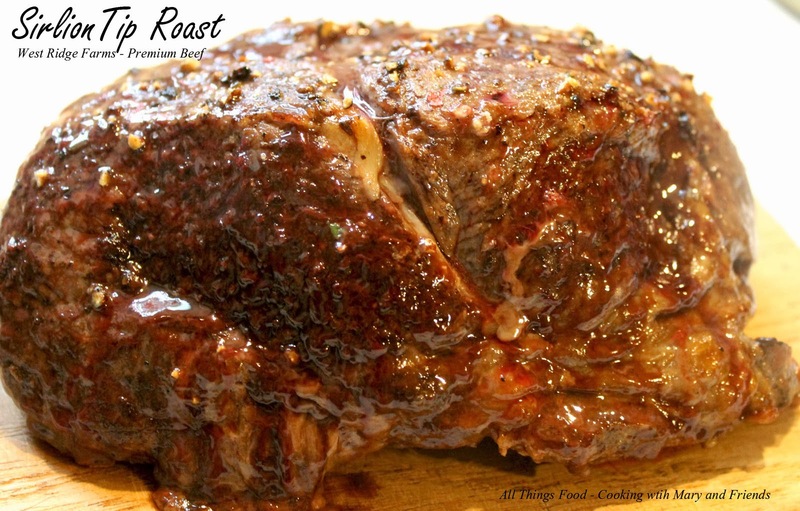 Roast in 500 oven for 15 minutes, reduce heat to 325 and continue to roast an additional 30 minutes or until a meat thermometer registers 130-135 for medium-rare. Remove roast from oven, cover with foil and let sit 20 minutes before carving to give the juices a chance to redistribute. Slice thin and serve in sandwiches or with au jus from the pan along with mashed potatoes and a vegetable. So ... darn ... good!